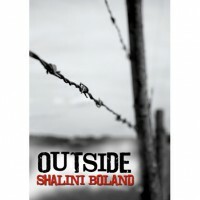 Outside is set in a post apocalyptic Britain, where groups of residents have set up secure enclaves to shelter from the lawless un-predictable world outside. Following the story of two girls in different era’s, both have to make tough decisions which will have ramifications for their families. Riley, traumatised by the death of her sister is determined to seek revenge and ventures out into the “real” world in search of the murderer, but her privileged, sheltered life means there is no way she could do this on her own. Eleanor’s story begins by giving a background to the breakdown in society, but choices she makes when her own settled life starts to come undone forced by events, develop into a crucial story line and Shalini merges these brilliantly towards the conclusion. Living in the town from where Riley begins her adventure allowed me to picture some of the scenes quoted and immediately made me feel at home with this novel. The characterisation is strong and I really felt the emotions driving the characters and story onwards. Shalini explores the different ways in which people have adapted and coped with the “new society” and if such a disaster should ever visit Britain, and you were one of the “lucky” ones to survive, you would surely meet and recognise some of the characters in this book. There is enough action and twists to keep an adult reader happy, but is also ideal for a young adult reader. Really well written and thoroughly enjoyed. I would read again. 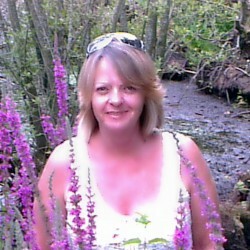 Thank you to the author for providing a copy in exchange for an honest review.